This seemed out of touch with the actual experience of actual people who have to deal with actual police. As the Mockingbird reported in August the rate of police killing of civilians has increased since Ferguson. This summer's surge of police murders and protests against them would also seem to be at odds with this poll and would cause any reasonable editor to check such a poll before assigning a reporter to wrap a flag and a speech around it. As it turns out Business Insider does not have reasonable editors. This was the first way that Gallup skewed their results for propaganda purposes. The poll had a confidence level of 95%. A 95% confidence level does not mean the pollsters are 95% confident that the respondents are telling the truth. A 95% confidence level is a range of values that you can be 95% certain contains the true mean of the population. This means that answers outside of the range of values can be discarded before computations are made. This is a huge factor with this particular poll. “hardly any” answers as they need to in order to produce the desired number. Not that many answers needed to be discarded because of the way the sample set was constructed. 1017 people across all 50 states and DC were polled. Race, gender, income and population density were factored into who was polled. 60% of the phones called were cellphones and 40% were landlines. When more than one person is present the person in the home with the next birthday was the respondent if they were available. This method instantly adjusts towards a wealthier demographic. Retired Americans with comparatively greater wealth might have a somewhat lower income than people still in the work force. Although 41% of Americans still have landlines in their home, that percentage is skewed towards homeowners, which the less wealthy majority of Americans are not. Combine this with an ability to drop people outside of the 95% confidence level and you can move those percentage points a few more steps in a conservative direction. Further, in an age of data mining, police murder and NSA surveillance, imagine what a person might think if they were randomly called at home and asked how much they respect the police. Would they be afraid to say they do not? The phone call is recorded for quality assurance and records are kept. Police retaliation is now a reasonable fear. This is not accounted for in the Gallup Poll. This potential bias would have a great effect on a poll with a sample size around one thousand. A mere ten people frightened enough to say “some respect” rather than “hardly any” move the survey results by a point. 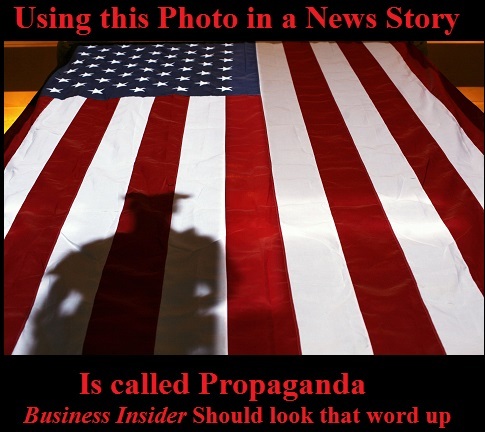 Business Insider reprinted the survey results because they serve an agenda. That agenda is stability for a certain class of people in the face of mounting public anger at the increase violence of police on the civilian population. As the saying popularized by Mark Twain goes “There are three kinds of lies: lies, damned lies, and statistics."